John J. Murphy, 90, of New Albany, Indiana, passed away on Sunday, April 14, 2019. 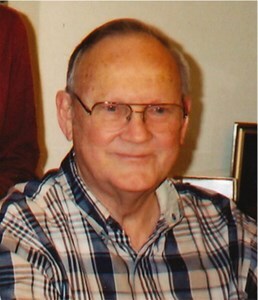 He graduated from New Albany High School in 1946 and from Indiana University in 1956. He worked various places including Prudential Insurance, IBM Corp., and Ford Motor Co. and retired from American Commercial Barge Lines in Jeffersonville in 1990. John was born on January 3, 1929, in Milltown, Indiana, to the late John W. and Hazel (Hawkins) Murphy. Along with his parents, he is preceded in death by his Wife, Doris (Kahl) Murphy; Brother, Dennis Murphy; and Grandchildren, Tonya Line and Scott Murphy, Jr.
John is survived by his Children, Debbie (Phillip) Line, Mark Murphy, Scott Murphy, and Laura (Mike) Woulfe; Grandchildren, Matt (Tracy) Sinex, Tyler Woulfe, and Chris (Sarah) Line; and Great-grandchildren, Keigan, Makinna, Ian, Kaylyn, and Jaxon. Private Services for John will be at Newcomer Cremations, Funerals & Receptions (3309 Ballard Lane, New Albany). He will be laid to rest at Kraft-Graceland Memorial Park in New Albany. In lieu of flowers, memorial contributions in John's memory can be made to the Alzheimer's Association (6100 Dutchmans Lane, Suite 401, Louisville, KY 40205). Please consider sharing a memory of John or leaving a special message for his family by completing the "Share Memories" section below. Add your memories to the guest book of John Murphy. Jerry was a wonderful caring husband to my sister Doris and a good brother-in Law who cared for his family above all.